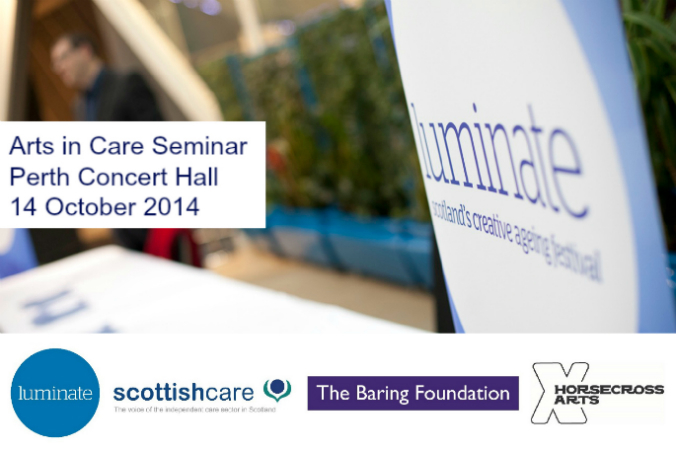 Join us LIVE from Perth Concert Hall for a video stream of keynote speeches from the Arts in Care Seminar, as part of Luminate 2014: Scotland’s annual month-long creative ageing festival. The morning of speeches will be streamed live online for audiences everywhere to enjoy and take part in the discussion in the live chat room or on Twitter by using the hashtag #ArtsinCare. These Luminate keynote speeches from influential speakers will offer an opportunity to share ideas and develop skills and knowledge and will be streamed on Tuesday 14 October between 10:30AM—12.30PM.